Torrent clients let you easily download torrent media and other types of files from the Internet and share your data with other users. The web offers a great variety of torrent software which all differs through the features, speed, and ease of use. Every user will agree that a good torrent client should be simple and reliable. It should download even the largest files fast and smoothly, working in the background mode and requiring minimum attention. In this article, we provide a quick overview of the main working principles of BitTorrent software and offer you a list of best in our opinion torrent clients. Torrents are small parts of a big initial file; they can be downloaded through a torrent client (software) from computers of other users who already have them downloaded and now can share online. This process is called BitTorrent – collective peer-to-peer sharing network and is faster than downloading a whole file from a central location (such as Play Market or AppStore) on your device. Once you’ve got all the parts of a file collected on your computer, you can become a seeder, which means that now you can share torrents of the whole item with other users. Torrent is an effective and easy way of sharing large media files across a big number of computers worldwide. For this process, you need a torrent client – a software program which connects you to the network of peers and seeders. Often, BitTorrent clients may have a bad repute as they are used for downloading media files from such popular file-sharing resources as Pirate Bay. A good deal of these files such as movies, music or TV shows are subject to copyrights laws, and thus people downloading them can become amenable to law. Music and filmmaking companies are known to monitor big torrent sites, and even claim for copyright violation through the court. However, BitTorrent software is completely legal and safe for sharing open-source and copyright-free files (such as software updates, for example). 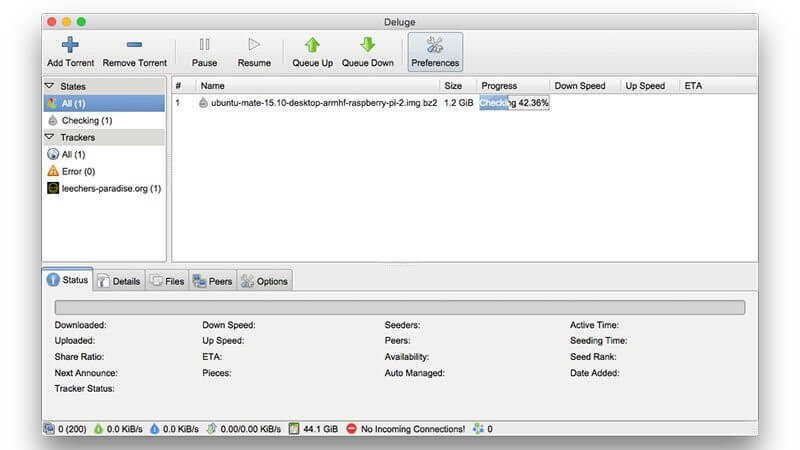 Deluge is classics among BitTorrent software; it’s one of the oldest and the most popular torrent clients. Deluge is small in size and leaves minimum digital footprints on your computer. Its advantage is being totally free from any advertising and other unwanted plugging. The app offers some great features that every user will appreciate: password protection, private downloading, adjustable options of bandwidth, making a schedule of downloads, remote managing, supporting proxy and more. With the numerous new clients offered on the web, Deluge became somewhat less popular recently. But thanks to its clean, fast and flawless work it’s currently gaining back the users’ favors. Besides, the app has some extended functions (setting private blocklists, notifications, scheduling, etc.) which work due to supporting a range of extra plugins. Never mind its long history, Deluge can become one of the best options among torrent clients for you. Being powerful yet simple in use, uTorrent has been holding the leading positions among torrent clients for years. Things changed a while ago when the app started intruding many unfavorable extensions and has been trying to install Yahoo as default search engine on users’ devices. Good news is that uTorrent managed to fix all these failures, and by now is gaining back its positions. The app is fast, high-end and is a ‘lightweight’ taking only 1MB of space on your device. uTorrent does show ads, but this seems to be the only issue. The app is developed by BitTorrent.Inc, thus it can be considered as an official torrent client. It deserves your attention for having some unique features: supporting encrypted files, remote control through a mobile app, setting a schedule and sequence of downloads, resuming downloads after a pause, and much more. qBittorrent is one of those less popular torrent clients, but this doesn’t detract from its advantages. The app has a simple, user-friendly interface; it’s easy to operate while having a range of powerful features. 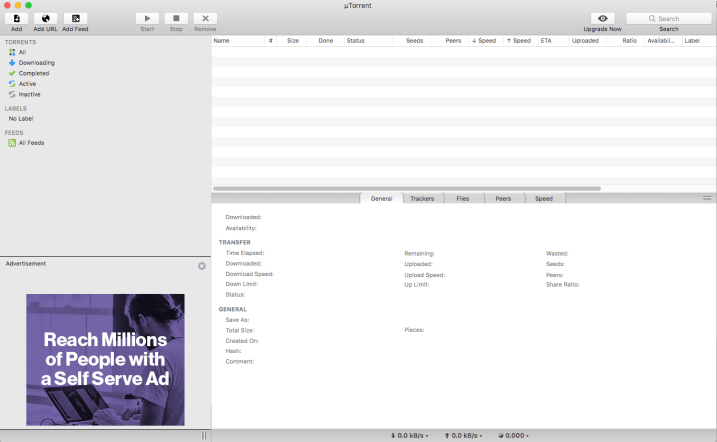 qBittorrent is free of spam or ads which only adds to its pros. The app stands in the middle between minimalistic simplicity and excess of detailed features, which feels just right for a user. With qBittorrent you can download just one or a bunch of files at a time, select files from one torrent and more. Transmission can be a good alternative to the other popular clients on this list. It’s simple and clear design stands at closest to that of Apple. The app takes little configuration and is another ‘lightweight’ which doesn’t stop it from having a range of good features. 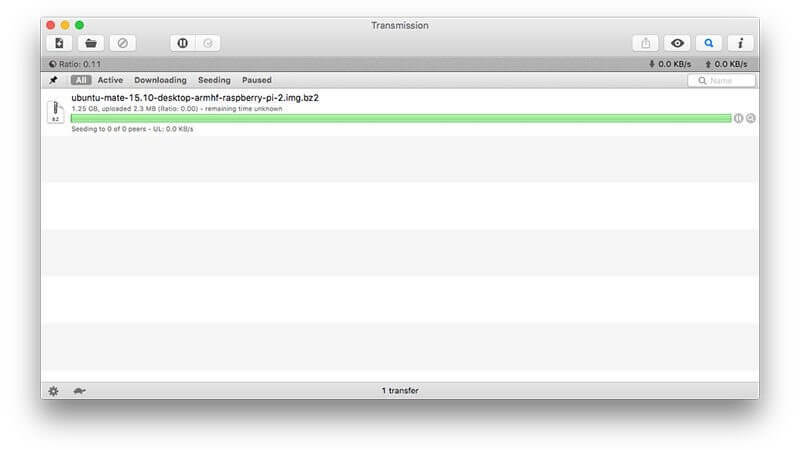 Transmission can be called truly minimalistic: it displays the only upload bar while opening files in a small window. To see more details on the files, one has to open another window. In our opinion, Transmission will work best for those users who rarely download any torrents but still would like to have a torrent client installed on their device, just in case. Important! If you are using Transmission, please make sure to update to the versions 2.92 and later, as the version 2.90 and earlier were reported to distribute malware – first spotted ransomware on Macs, to be exact. All latest versions are free from any threats to your Mac. WebTorrent with a few of its cracking features can be a great choice for Mac users. With this app, you don’t need to wait until the end of the downloading process and can watch or view media files right away. This client connects to peers both of BitTorrent and WebTorrent. This streaming and downloading client is fast, ‘lightweight,’ powerful and bloat-free. It supports AirPlay, DLNA, and Chromecast. Its unique streaming features are definitely worth trying. 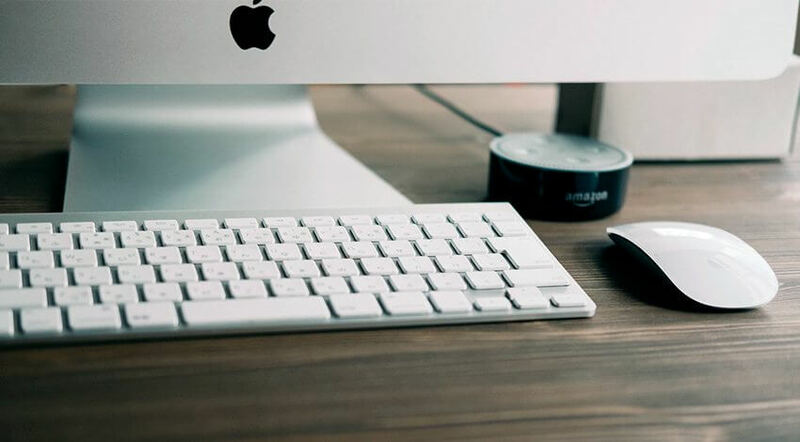 Next How Do I Create Context Menu Items in Mac Finder?